Twitter tells me today that ‘we will have a new federal government in Canada within days.’ The Liberals, NDP and Bloc have put aside their differences and have formally asked the Governor General to allow them to form the Government of Canada, led by Leader of the Opposition Stephane Dion at the next opportunity. As an NDP stronghold, this could be New Westminster’s best chance to get on the national political radar. The Georgia Straight has speculated that Burnaby-New West MP Peter Julian (profiled a few days ago on this blog) could have a good shot at a cabinet post in a coalition government, while a story on BCLocalnews.com suggests New Westminster-Coquitlam MP Dawn Black is the New West MP to watch. What about the legitimacy of the democratic process, yeah, what about it? [Harper] was given a minority, and he refused to work with the other parties, he had 38% of the vote and he’s trying to govern like he had 100% of the power, he’s the one who’s got democracy wrong, not us. So do not be defensive, to work among what we are doing is to give effect to the wishes of the majority of Canadians, have no doubt about that. The coalition for Canada, I love the idea, it could be a deal-breaker for the Bloc (laughter) so if we don’t go, we call it “The Coalition for Canada and Quebec,” (lots of laughter). I’ll just say one other thing about the issue of the Bloc: nothing could be better for our country, than to have the fifty members who’ve been elected to separate Quebec to actually helping to make Canada a better place. I think we just approach it on that basis, and say we’re willing to make Canada happen, here’s other things that we’re going to be investing in and transforming together, they’re willing to work with us, we’ll accept that offer. We’d like to hear from Peter Julian and Dawn Black on this. We’re trying to reach them and we’ll let you know if they have anything to share that may provide some context for New Westminster in all this. Meanwhile you can track developments as they happen on Twitter. General commentary is being tracked using the keyword #coalition . Opponents of the coalition are tweeting with the keyword #canadarally, and further information is online at rallyforcanada.ca . Update: The pro-coalition side is gathering at 62percentmajority.ca. New Westminster packs 60,000 people into just 15 square kilometres. Despite the skyscrapers and traffic jams, this city of ours still behaves like a small town. The annual Remembrance Day ceremony at the armory is a hugely popular civic event. We have just one high school. Our mayor is a jolly guy who drives an old Ford truck. And our MP, Peter Julian, is a friendly Salmonbellies fan who, like many of us, still carries a bit of a chip on his shoulder from 1868 when Victoria stole the title of B.C. capital from our town. His dad even wrote a book about it (entitled, “A Capital Controversy”). Julian called us up a few weeks ago after seeing our blog and asked if we’d like to sit down and have a chat. We invited him over to our home and spent two hours talking about New West issues over a glass of red wine and a plate of crackers. 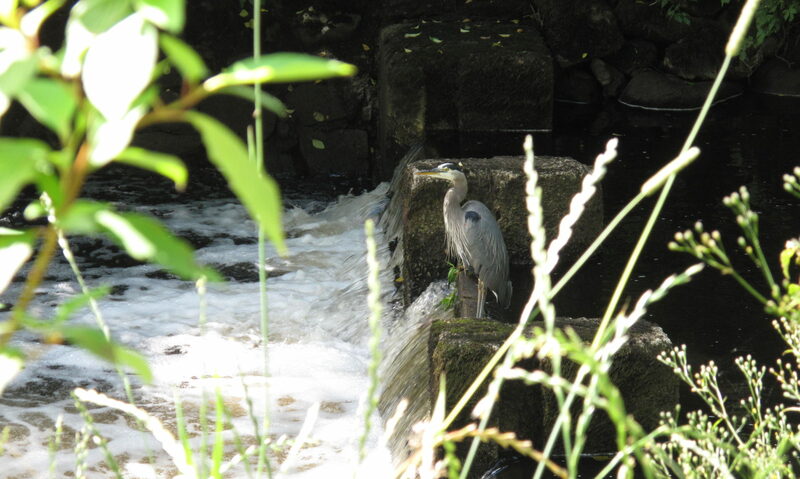 We didn’t press him on political issues so much as try to get a sense of the man and his passion for this place. It was a cracking good conversation and more fun than a barrel of bonobos to a couple of folks like us who geek out on all things local. Those of us who live here know that there is more than one New Westminster. To some, it’s the crown on the sign they drive past every day to work (Welcome to New Westminster! Thank you for visiting! Welcome to Burnaby!). For others, it’s where they bought their bridal gowns or where they browse antiques or the place where Chickpea relocated from The Drive. It’s a Salmonbellies game in midsummer. It’s the Hyack Festival. It is going down 12th St and seeing five people you know. It’s getting 250 people at an all-candidates’ meeting or standing-room only for the civic election forum. It’s 2,500 people at the Cenotaph on Remembrance Day. Julian’s very well-liked in New Westminster, and it’s easy to see why. He’s passionate about this city. He’s knowledgeable about local history, passionate about New Westminster’s potential and appears to genuinely love his work as our MP. Leading up to the last federal election, this riding was declared an NDP lock (though Julian says he always campaigns as though he’s a few votes behind), and the results have shown the NDP and Julian making incredible gains in this riding since he was first elected in 2004. When he defeated Mary Pynenberg back then, it was only by 300 votes, whereas four years later, in October, the margin of victory was almost 7000 votes. These are not the kind of positions you decide on. You are called to it. If in 10 years my phone was ringing off the hook, maybe, but not now. Back to the ‘Capital Controversy.’ Given the Julian family interest in the matter, it’s no surprise that one of the ideas Julian suggested would put New West on the map was to build a new museum and arts centre in the city’s downtown. Julian believes such an attraction would draw tourists who are interested in B.C. history. And it is true that New Westminster’s history is really B.C.’s history, from the First Nations settlements to Judge Begbie’s reign at the law courts to Hollywood Hospital’s LSD experiments on celebrities to the Royal Westies‘ contribution in both World Wars. 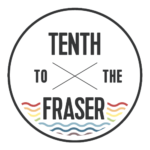 We are museum buffs here at Tenth To The Fraser, so we like the idea of building a fitting home for the historical artifacts scattered among various small collections around the city. From the fabulous collection of military memorabilia currently housed at the armory (and practically impossible to see due to eccentric operating hours) to possibly even the Samson V , which cannot continue to float at the Quay forever, we already have some very interesting content for such a museum. As the geographical centre of the Lower Mainland and the first city in Western Canada, there is no better site. It is such a simple statement, and yet so powerful. We are the change we seek. Our governments, local, provincial and federal, all have a role to play, but we must not shirk our individual responsibility to do whatever is in our power to realize the change we wish to see in our community. None of us alone can feed all who are hungry or house all who are homeless, but there is always something we can do. Take the initiative to paint over some graffiti or pick up some garbage, volunteer at the UGM , vote in your elections and above all connect with your community. Fresh from his breezy win in the federal election, Burnaby-New West MP Peter Julian is making political observers take notice. Burnaby Mayor Derek Corrigan has hinted he thinks Julian is leadership material, and now even a Liberal campaign worker for Julian’s recent rival Gerry Lenoski says he can picture him running for Premier. For any candidate to increase their margin of victory from 329 votes in the election of 2004 to 13,151 votes in 2008 is politically noteworthy. And to hit 46.4 per cent of the popular vote is equally noteworthy when one considers there were five other candidates running in the race. I have to admit that Burnaby Mayor Derek Corrigan’s view that Mr. Julian has the makings of a party leader are not just bravado or bluster. I saw Mr. Julian perform at a couple of all-candidates meetings, and he is already ready for prime time. Good oratorical skills and personable – it’s a hard combination to beat. But since there is no realistic reason to believe Mr. Layton is apt to step aside anytime soon, the mayor’s assertion suggests to me that he dropped one of those oblique political hints one so often sees in politics, that the leadership to which he was actually referring was that of the provincial NDP.